In 1942, it was ‘Vellayane Veliyeru’. “Kollaiyane Veliyeru”, a large anti-corruption campaign movement to bring together all those who are against corruption is set to be launched at a public meeting this weekend on October 8th at 4.30 Pm at Mylapore Mangollai. 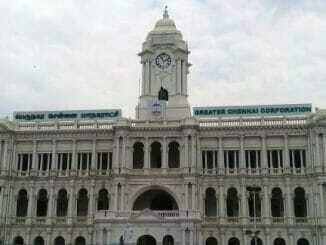 The event is facilitated by Arappor Iyakkam and is co-organized by citizens and various other organizations. Corruption affects all of us. Every day, from the traffic cop on the roads, to sand mining on our river beds, from RTOs issuing licenses to 2G spectrum, from stretcher charges in government hospitals to illegal constructions. Big and small, corruption is everywhere. It affects all of us. The undesirable economic effects of corruption are well known. Corruption creates a black economy that drives inflation, joblessness and results in concentration of wealth in the hands of few. More importantly, corruption creates an inequitable society. Where those who have the money gain an unfair advantage over those who don’t. The rich do get richer, and the poor, poorer. 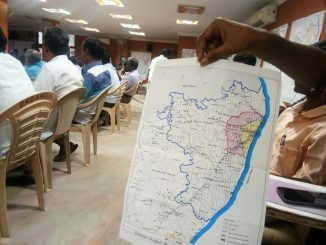 In Tamil Nadu, the situation is getting worse, every day. Our elected representatives and government officials conduct their corrupt businesses with impunity, and we, the people, are dangerously close to accepting corruption as a way of life. This needs to change. Now. Tamil Nadu needs decisive and sustained civic action to ensure that the scourge of corruption is reversed. Else, it will soon consume all of us, and all that we hold dear – the water we drink, the air we breathe, the land we till. But we cannot do it alone. Individual voices against corruption are swiftly and ruthlessly silenced, through threats, retribution and violence. To take on this organised menace, we need to be organised too, so that we become that much harder to silence. The results we aspire to are not for the short-term. We aspire to achieve a state, where transparency and accountability are tenets of state policy, and the system effectively curbs corruption. We are all in this for the long-haul. The movement, which begins with a large public meeting on the 8th of October, will then spearhead specific campaigns and initiatives over the next 18 months, all specifically targeted to deliver a corruption-free state. We are planning sustained civic pressure for Lok Ayukta in TN, campaigns on specific government departments, efforts to create a secure a whistleblowing mechanism and legal support and guidance for activists fighting corruption. We invite you to join this movement. To pool our ideas, efforts and actions, and to generate momentum that is unstoppable. 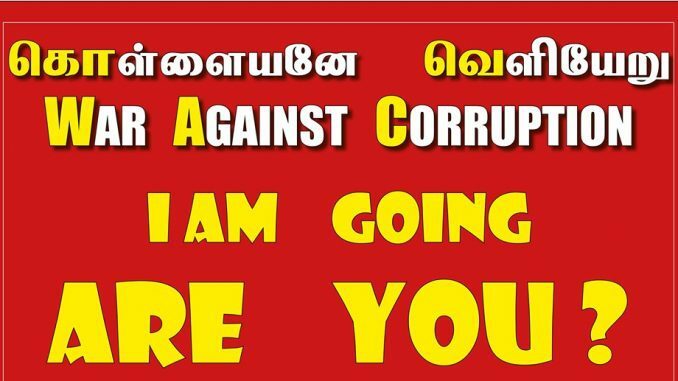 Come join hands in launching Tamil Nadu’s movement against corruption. Our freedom fighters took on the British and said ‘Vellayane Veliyeru’ (Quit India Movement) in 1942. Now it is time for all of us to say ‘Kollayane Veliyeru’ seeking the corrupt to get out of governance. Citizens can contact 7200020099 or contact@arappor.org for more information. 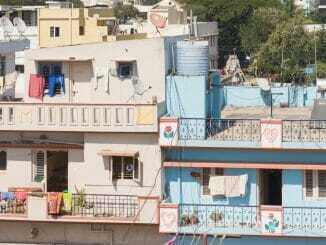 Under guidelines issued by the Urban Development Department, all unauthorised buildings built before July 1 2007 can be regularised upon payment of a penalty.